Pravda (Truth) was the official voice of Soviet communism and the Central Committee of the Communist Party between 1918 and 1991. Founded in 1912 in St. Petersburg, Pravda originated as an underground daily workers’ newspaper, and soon became the main newspaper of the revolutionary wing of the Russian socialist movement. Throughout the Soviet era, party members were obligated to read Pravda. Today, Pravda still remains the official organ of the Communist Party of the Russian Federation, an important political faction in contemporary Russian politics. The full archive of Pravda is now available through East View’s Global Press Archive. The Pravda digital archive contains all obtainable published issues from 1912 to present (over 165,000 pages). The Pravda digital archive offers scholars the most comprehensive collection available for this title, and features full page-level digitization, complete original graphics, and searchable text, and is cross-searchable with numerous other East View digital resources. In its early years, Pravda was subjected to constant persecution, fines, penalties, and prohibitions by the government. To avoid censorship and forced closures, the name of the newspaper changed eight times. In 1914 when the Russian Empire entered World War I, the Russian government moved to close down all subversive newspapers and military censorship was reimposed. After February 1917, when Tsar Nicholas II was deposed and replaced by the Provisional Government, Pravda became the official organ of the Bolshevik Central Committee and was allowed to reopen. When Lenin strongly condemned the Provisional Government and editorials in Pravda called the government “counter-revolutionary,” Pravda was once again subject to censorship and was forced to change names, as in tsarist times. When the Bolsheviks seized power during the October Revolution in 1917, Pravda became the official publication of the Soviet Communist Party. 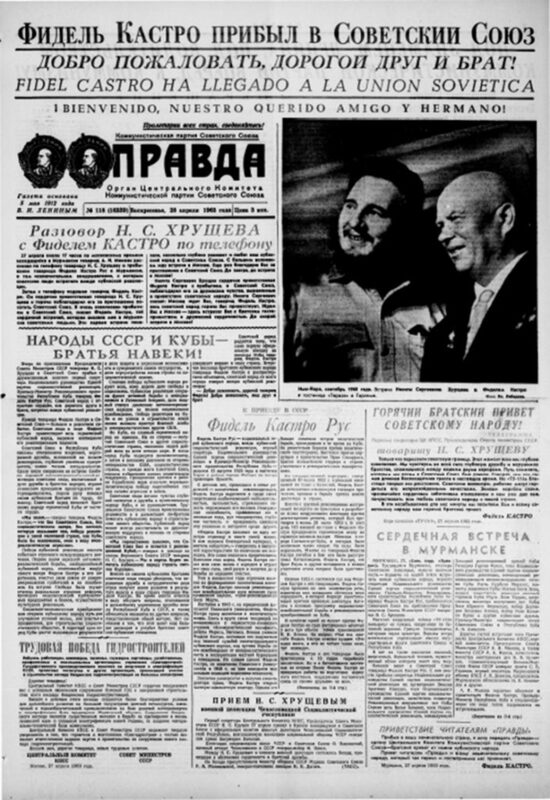 Throughout the Soviet era, party members were obligated to read Pravda. The paper’s primary role was to deliver the official line of the Central Committee of the PSU. Pravda remained the official voice of Soviet communism up until 1991, when Boris Yeltsin signed a decree closing Pravda down. 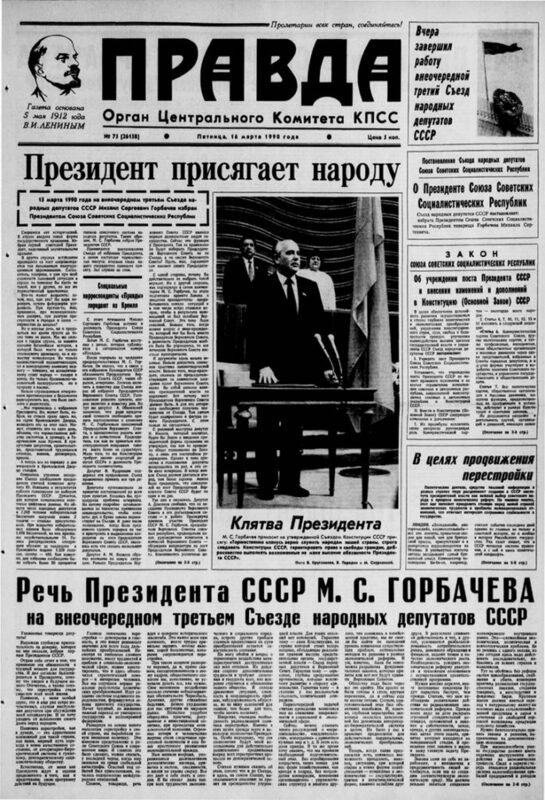 After the collapse of the USSR, nationalist and communist journalists intermittently published a print newspaper and an online newspaper under the name Pravda. Today, Pravda represents the oppositional stance of the Communist Party in the Russian Federation.